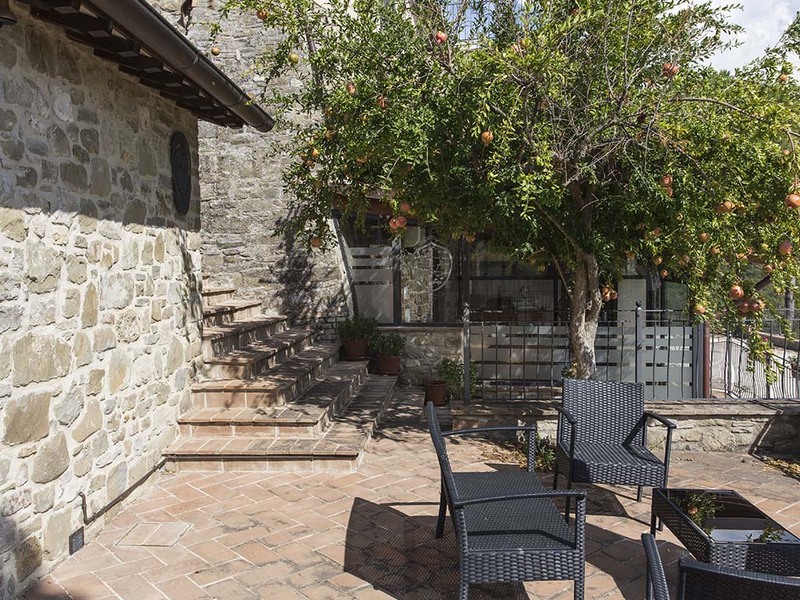 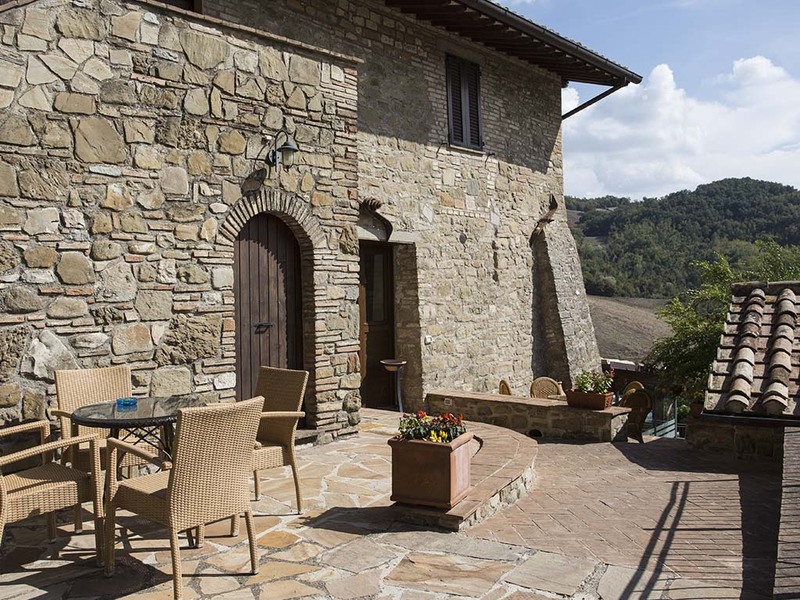 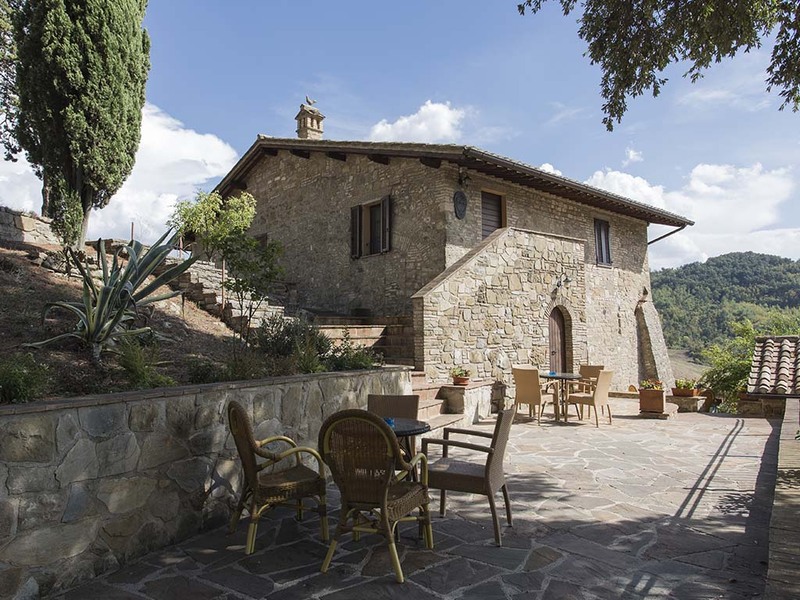 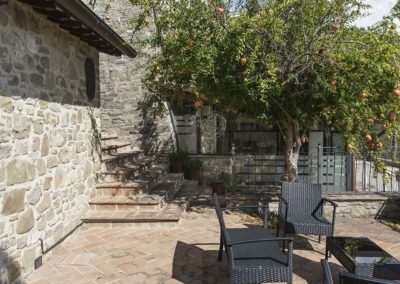 The old stone farmhouse has been renovated trying to keep the original structure as intact as possible. The six rooms, arranged on several levels, conserve the wooden beams and the Umbro terracotta floor. 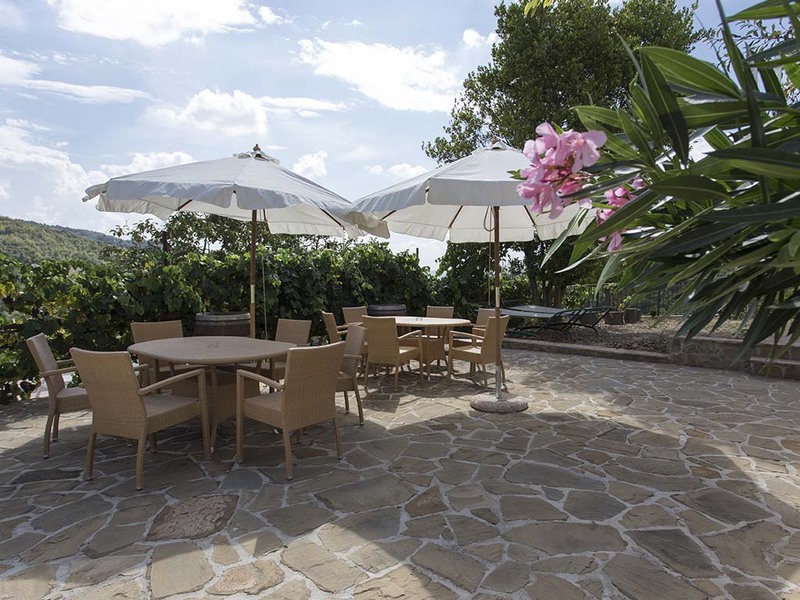 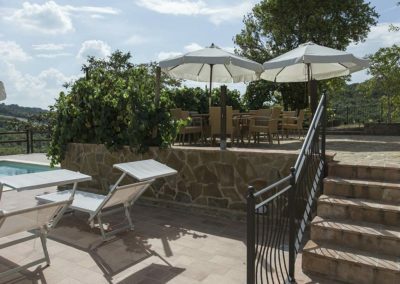 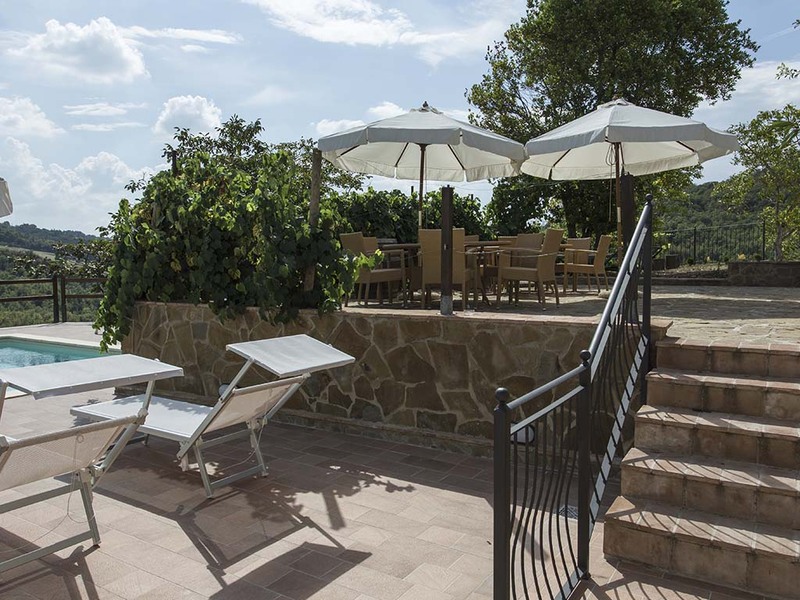 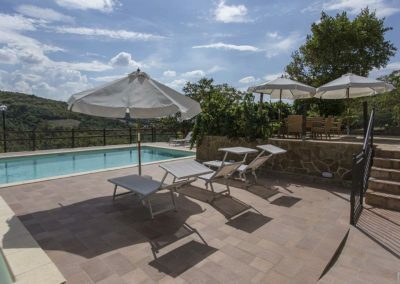 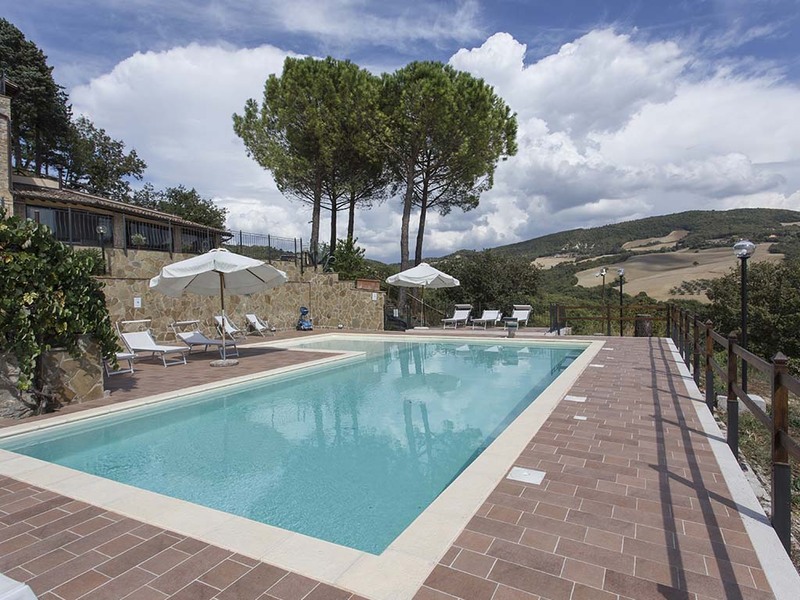 There are also two common rooms, a panoramic terrace, a shared kitchen, a restaurant reserved for guests, a seasonal swimming pool and large areas with outdoor furniture. Although tourism has been present in Assisi for many centuries, this city and its territory still retain an authentic and unaltered taste. 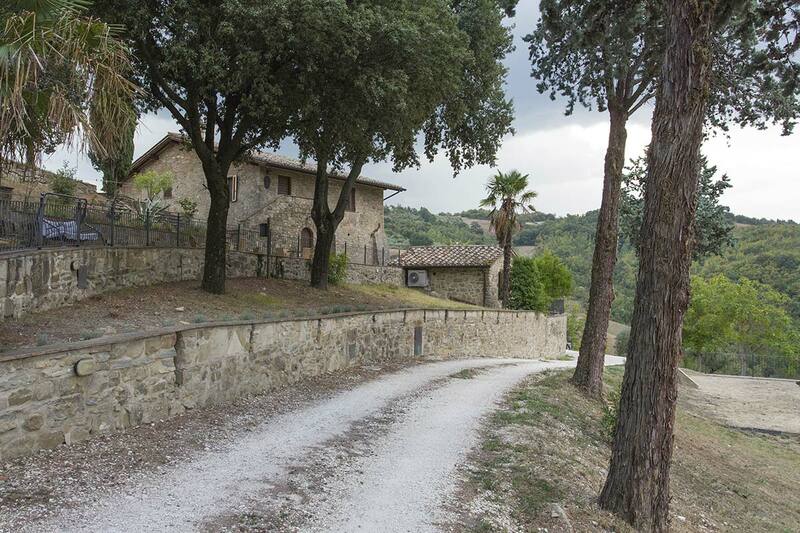 The rolling green hills surround the small towns and blend harmoniously into the eyes of the observer. 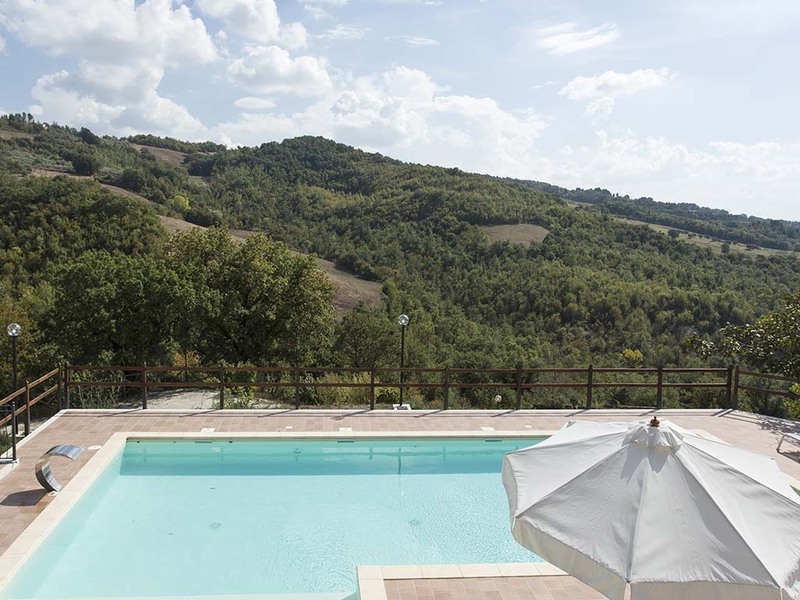 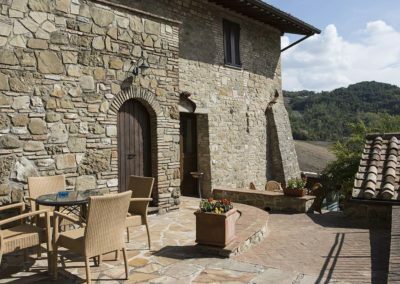 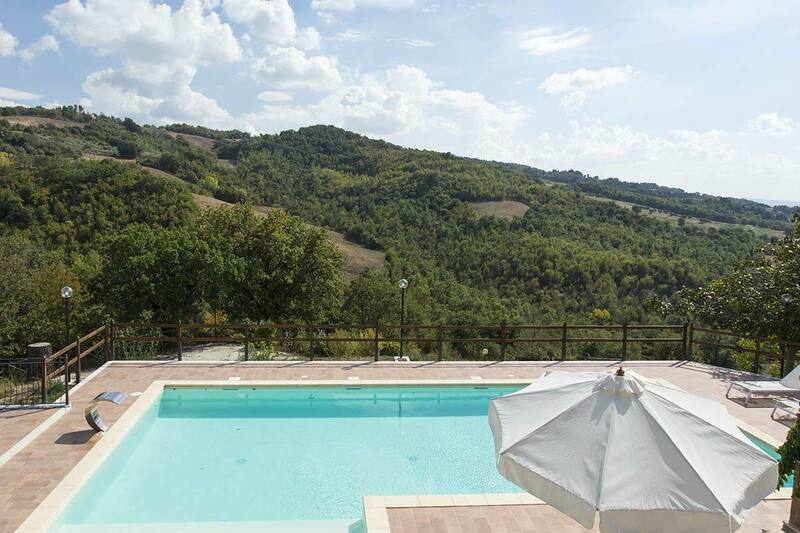 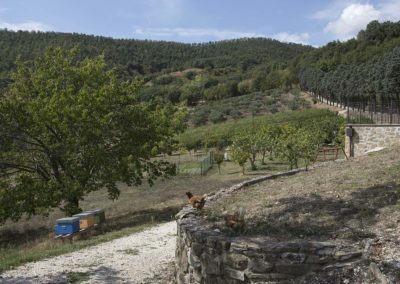 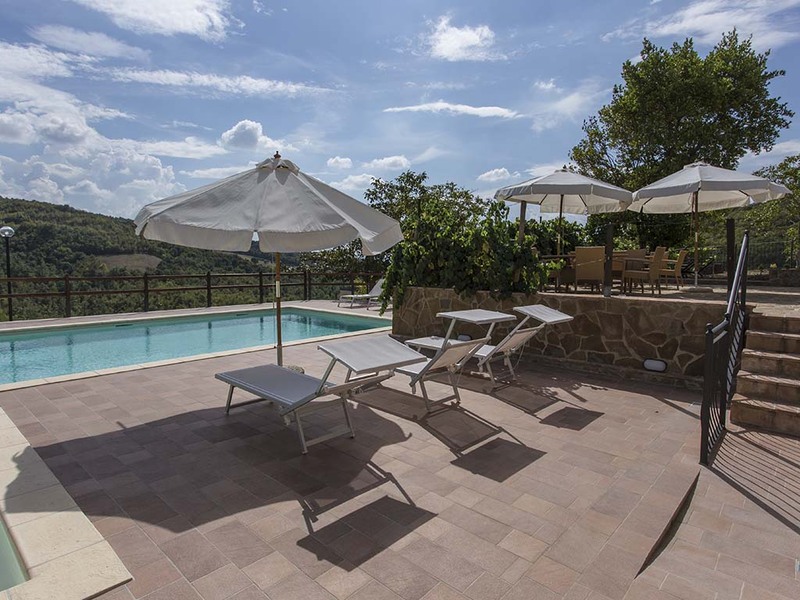 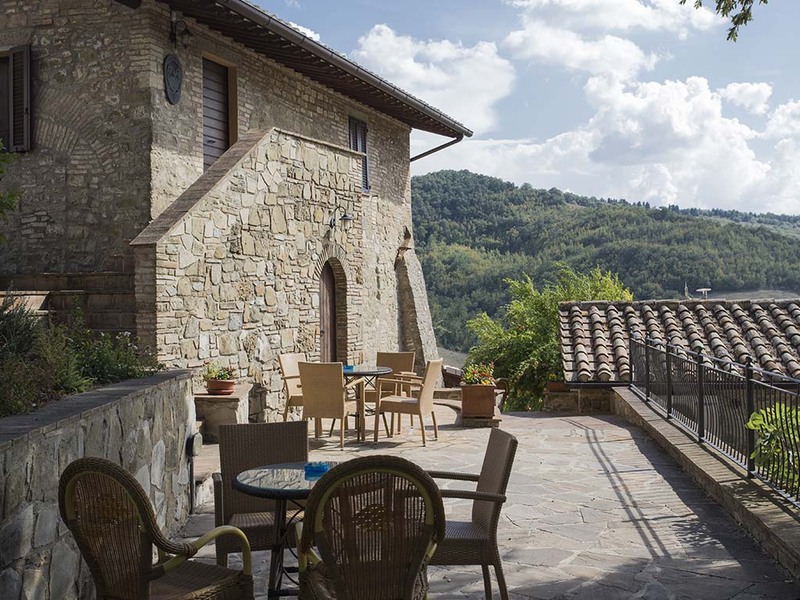 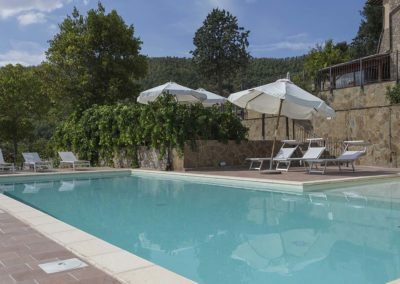 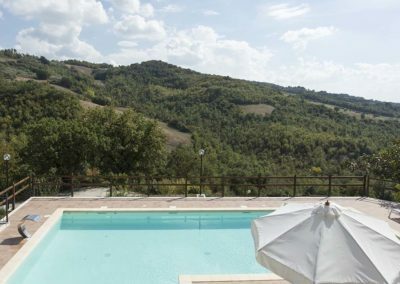 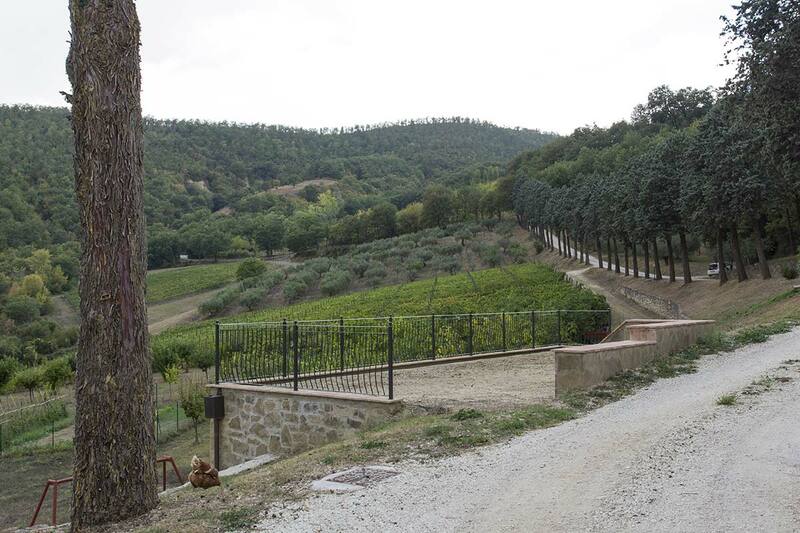 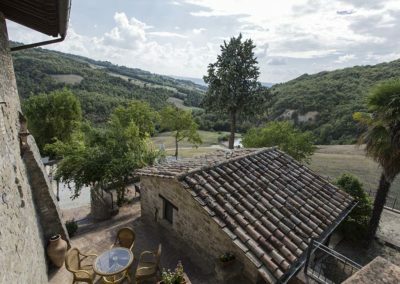 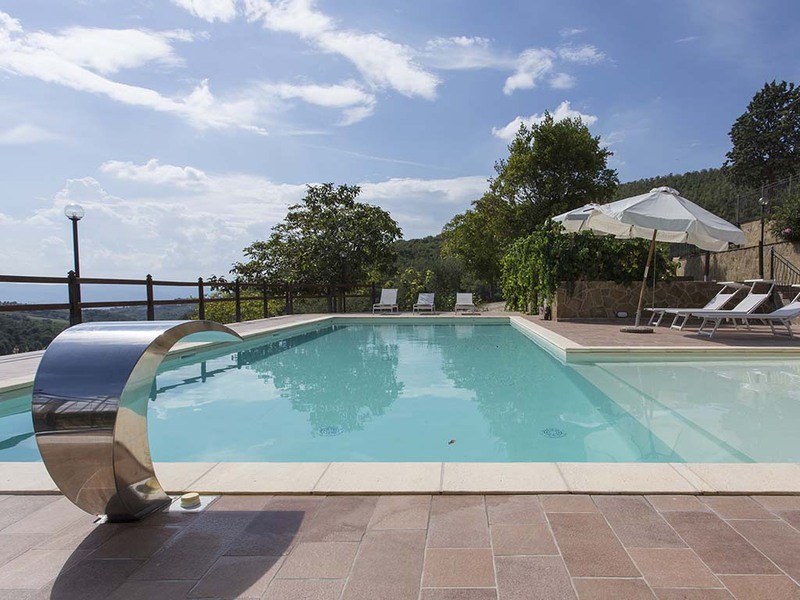 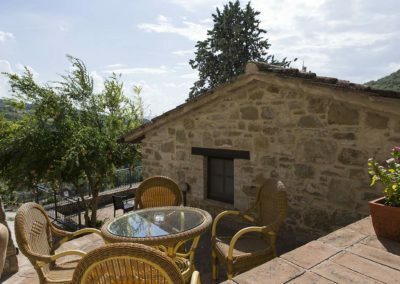 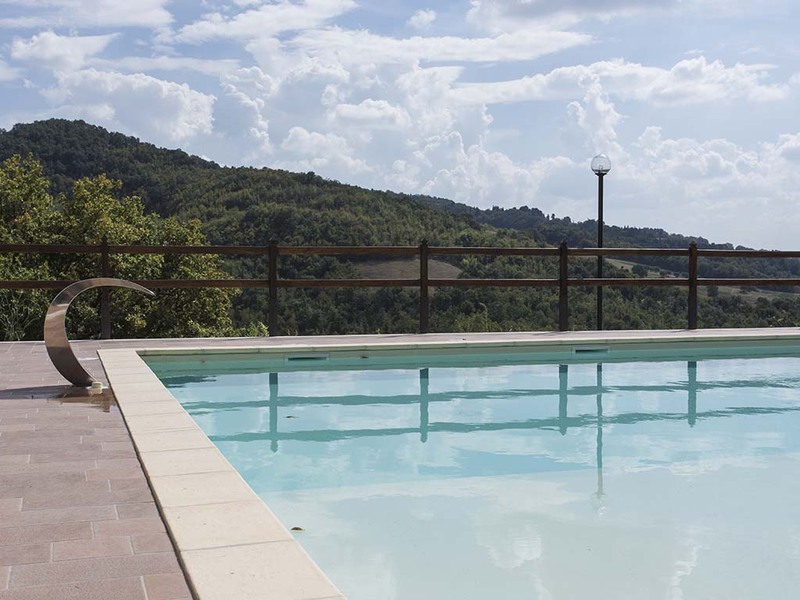 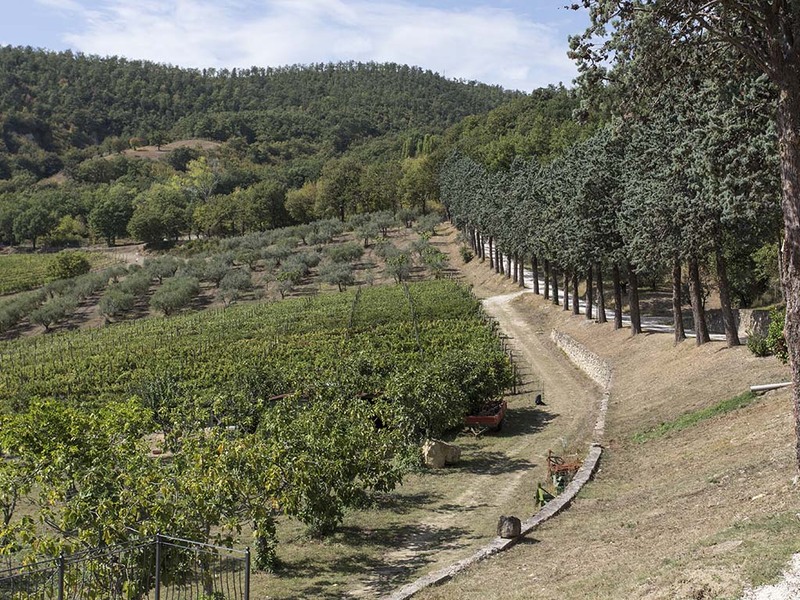 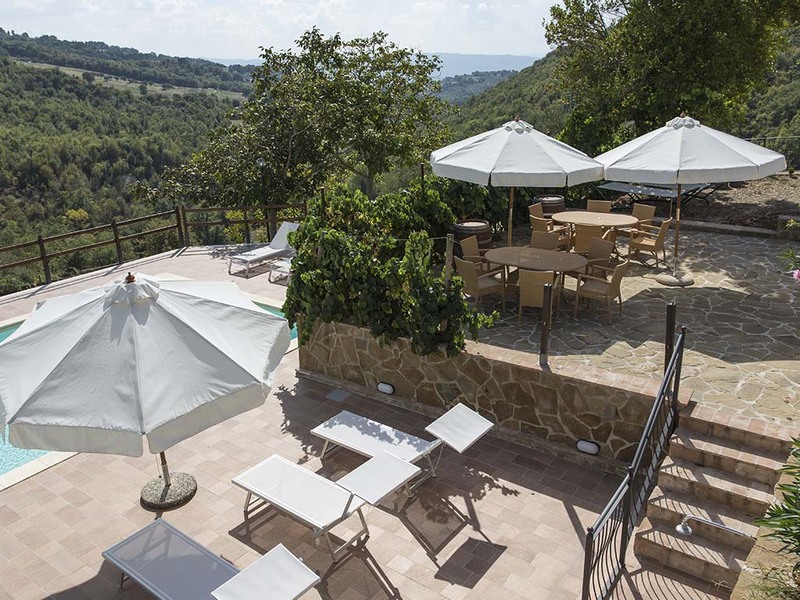 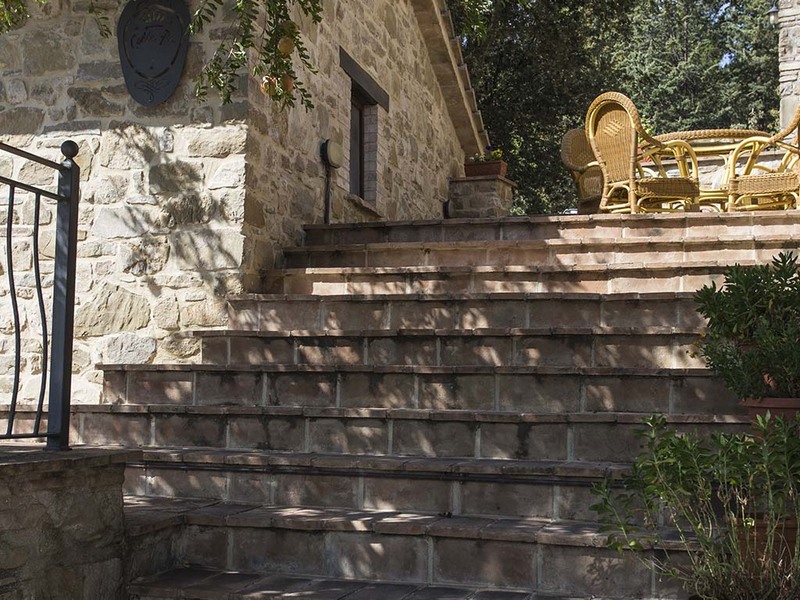 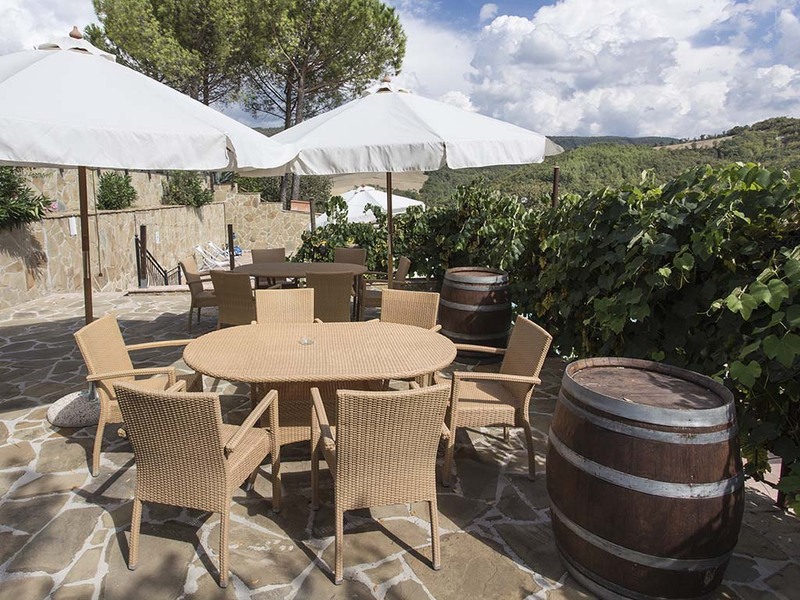 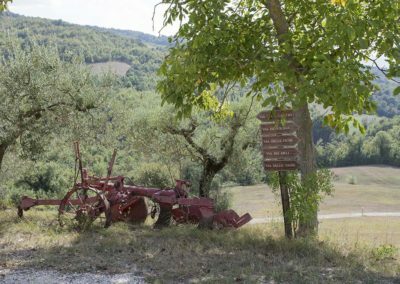 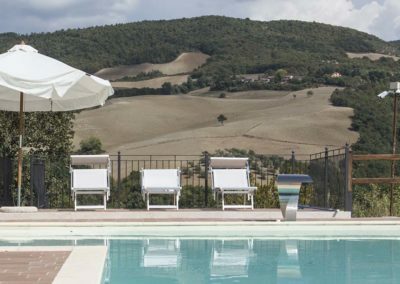 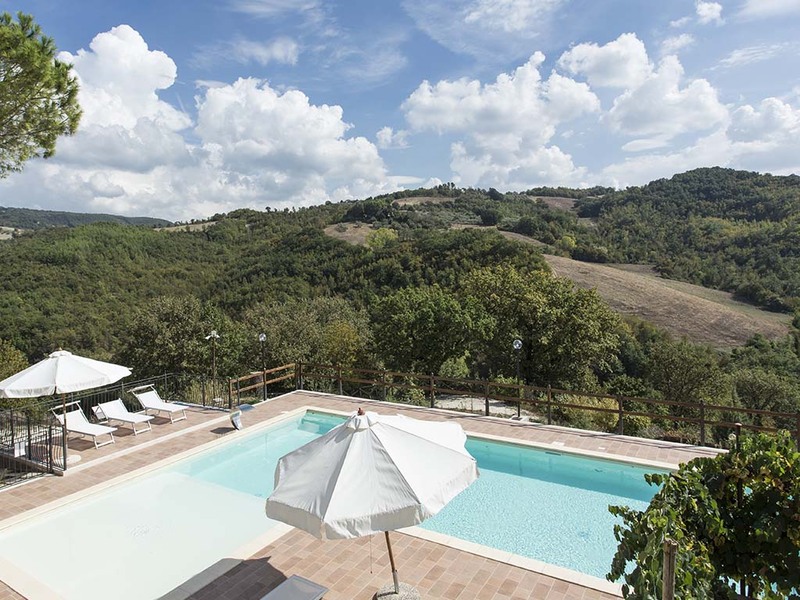 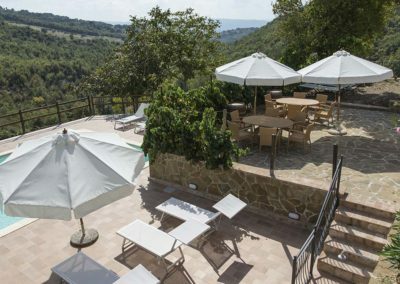 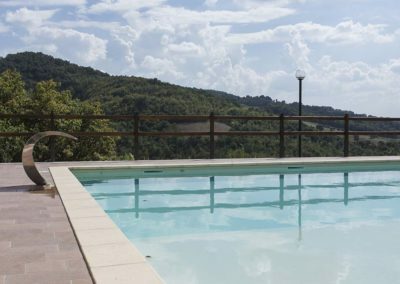 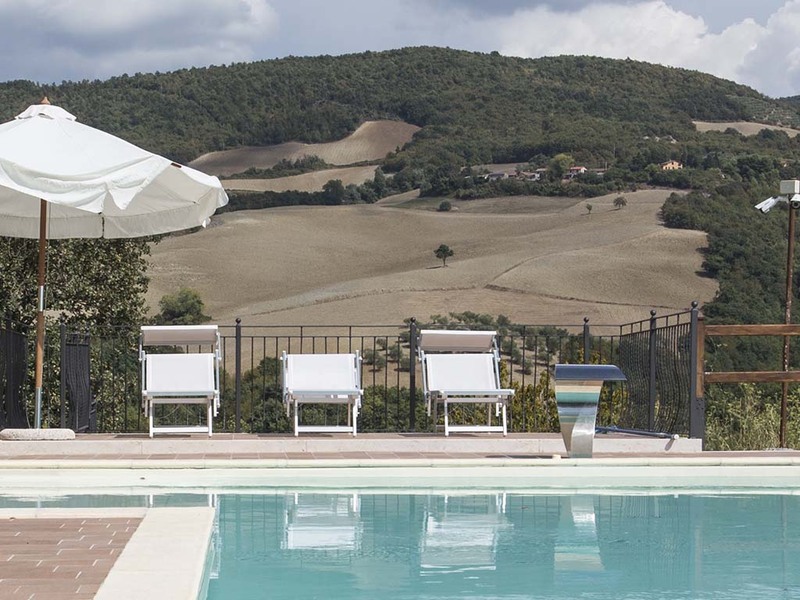 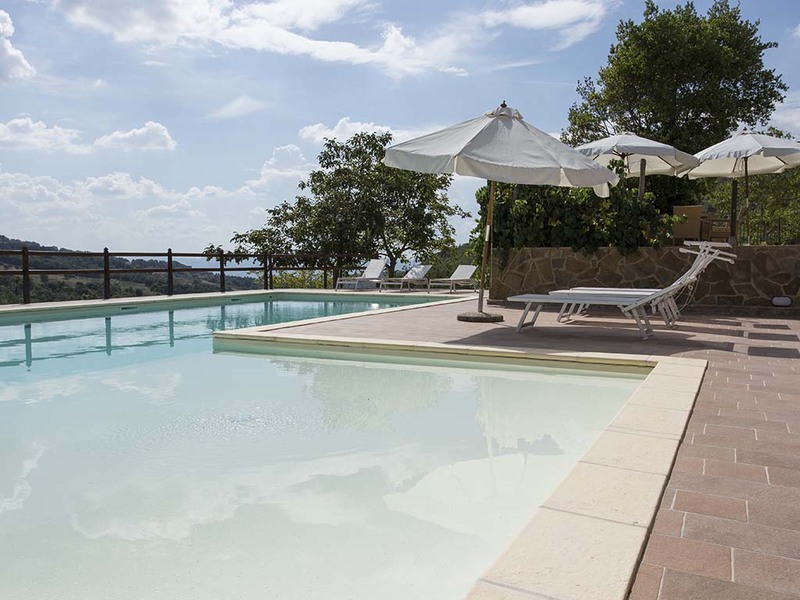 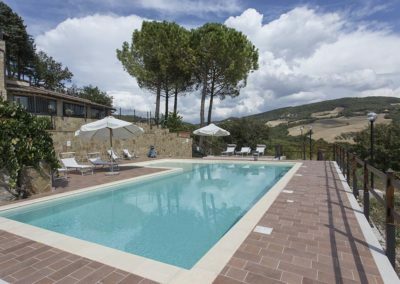 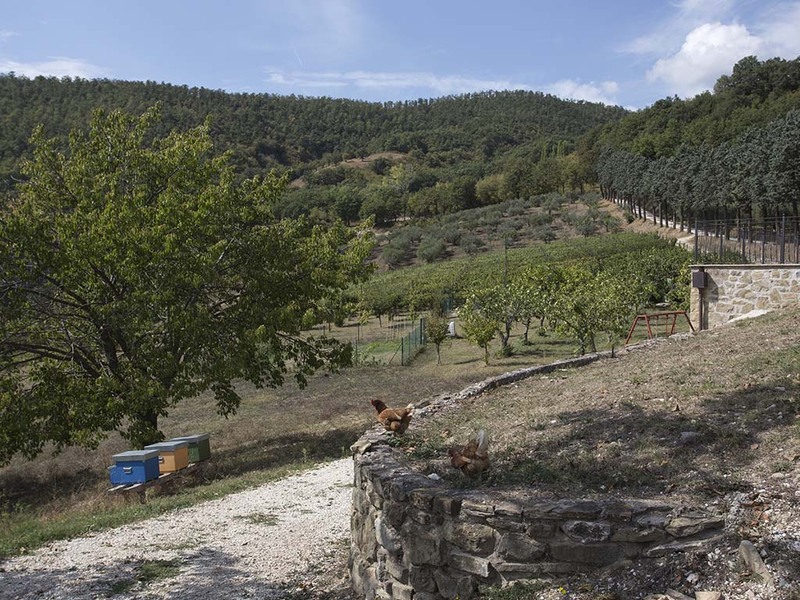 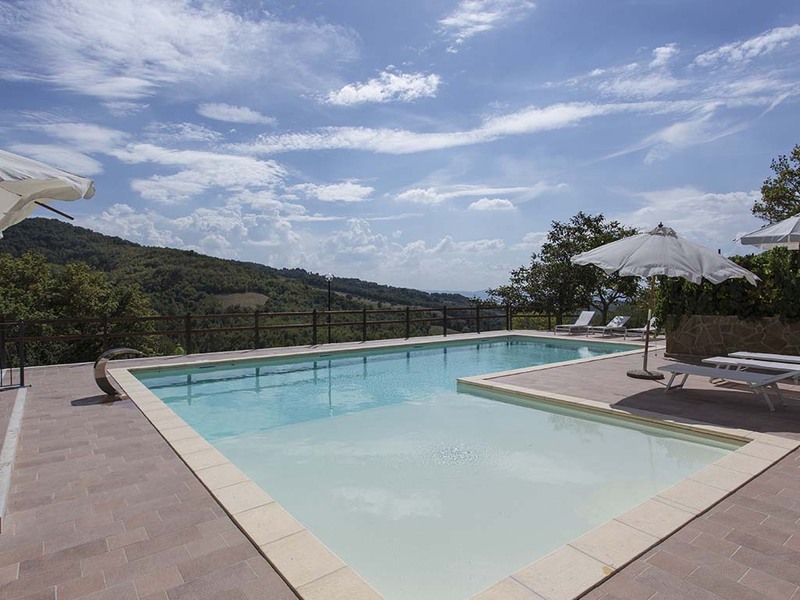 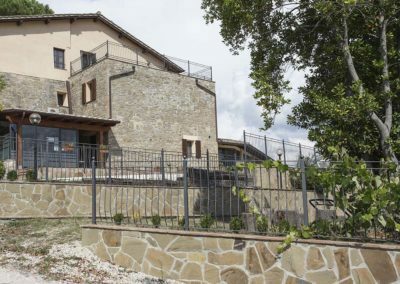 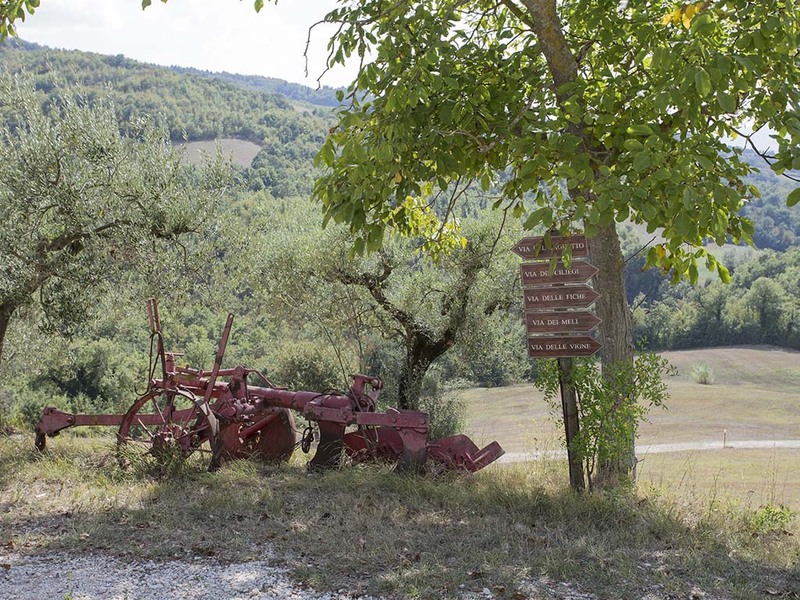 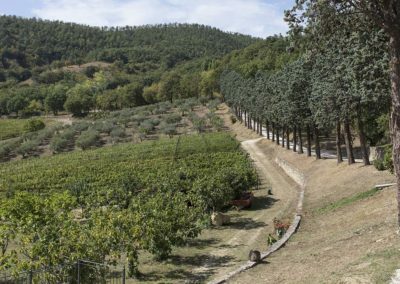 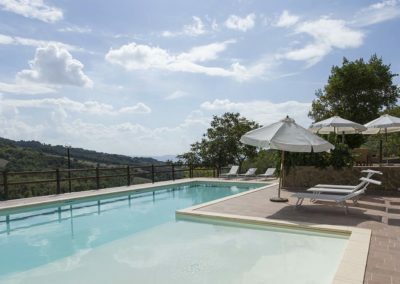 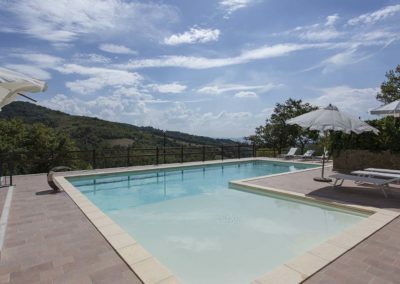 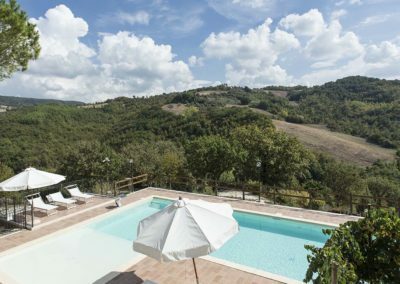 Right in the heart of the hills next to Assisi, between the pristine woods and the well-plowed fields, lies our Agriturismo: a sort of hill hideaway. 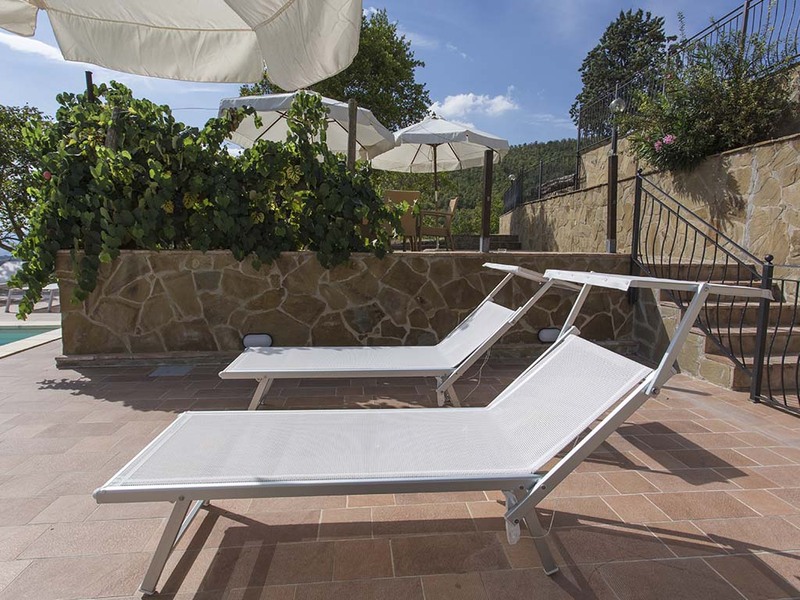 Air conditioning / heating, television, wi-fi, hairdryer, fridge, towels, bed linen, soap, shower gel. Some rooms can also accommodate people in wheelchairs or with mobility difficulties (ground floor room). 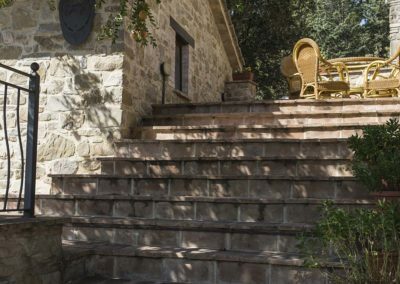 If you are looking for a break from the hectic pace of everyday life or simply need peace and relaxation you are in the right place: the isolation of the place keeps away chaos, traffic, pollution and brings you back into contact with nature.